*Okay, first of all, I absolutely adore Susan Dennard. Her writing is beyond spectacular. Her debut trilogy blew my mind away and I expect nothing less from this new series. Love the coverart and blurb, and the fact that it has a magical concept. One thing is guaranteed when it comes to Ms. Dennard, expect the unexpected and prepare to be intrigued. 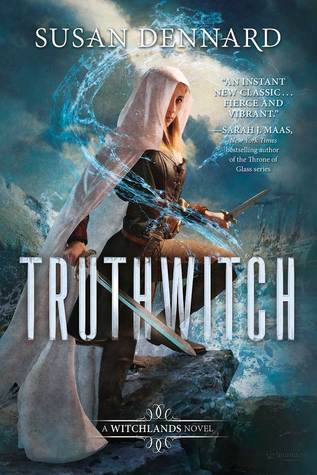 Can't wait to read Truthwitch!! I didn't love the Something Strange and Deadly series, but maybe this will be a better fit for me. Thanks for stopping by my WOW earlier! We have the same WoW! Great minds think alike you know? I haven't read anything by this author before. This book sounds interesting. I hope you enjoy reading it! I also can't wait to read this one. It looks like it'll be so good! Wow! Love the cover and the book sounds awesome! Thanks for sharing Shane!